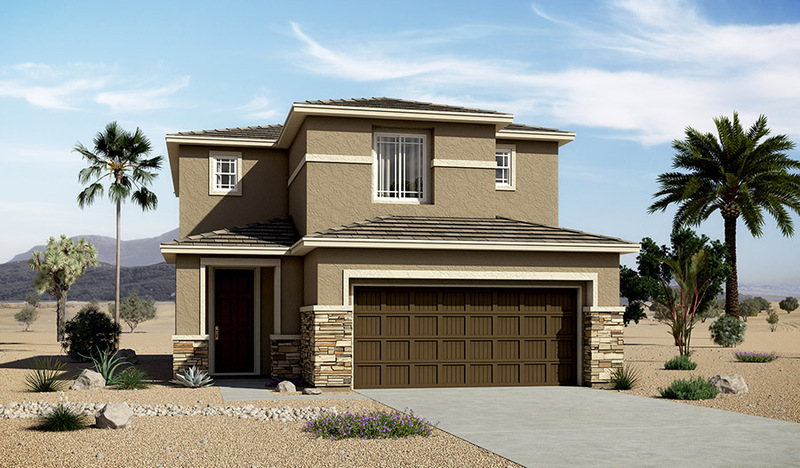 This beautiful model home offers a range of can't-miss amenities. The main floor showcases optional windows to beautiful effect, illuminating the spacious great room and dining room. The kitchen is adjacent, and boasts a high-end slate appliance package with a counter-depth refrigerator, maple cabinetry with an attractive espresso finish, quartz countertops with tile backsplashes and a built-in pantry. Upstairs, you'll find a generous master suite with a walk-in closet and private bathroom, complete with stainless-steel fixtures and quartz countertops. The second floor also features a laundry with an included washer and dryer, and a tech center with an included desk. Other highlights: extended covered patio, carpet and tile flooring throughout, security system, home theater pre-wiring, complete landscaping.